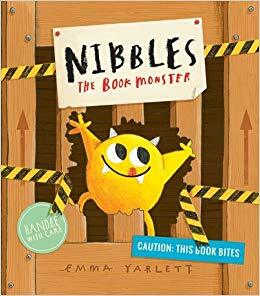 The March book for Reading with Friends will be “Nibbles the Book Monster” by Emma Yarlett. Nibbles is a very naughty book monster — he’s chomping, munching and nibbling his way through fairytales that don’t belong to him! 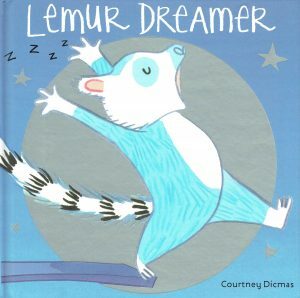 Children will love to lift the flaps, peek through the peepholes, and chase Nibbles through a fantastical world of books in this quirky story. 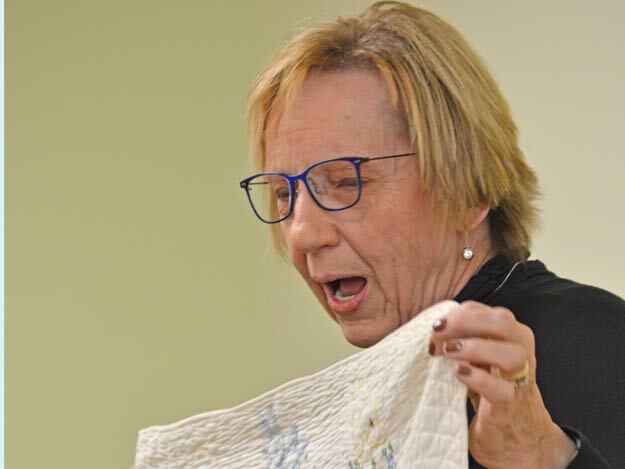 The book will be read by guest reader Sue Sutton. 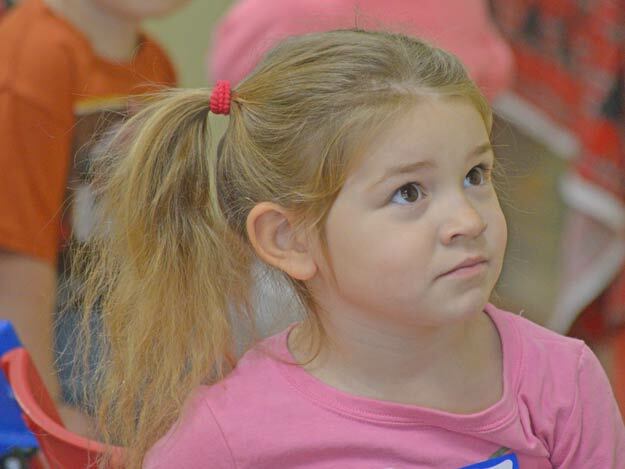 Story time will begin at 10 a.m. Friday, March 8. 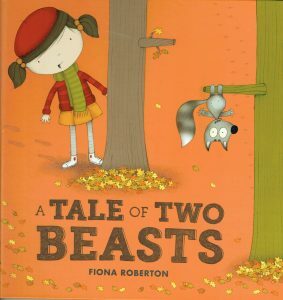 This month’s book for Reading with Friends will be “A Tale of Two Beasts” by Fiona Roberton. 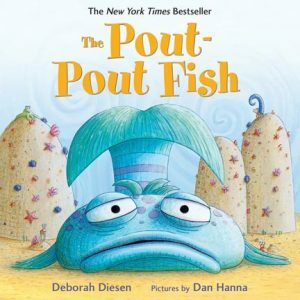 Kids will enjoy this beautifully illustrated book that shows that there are always two sides to every story. The book will be read by special guest Verna Ferguson. 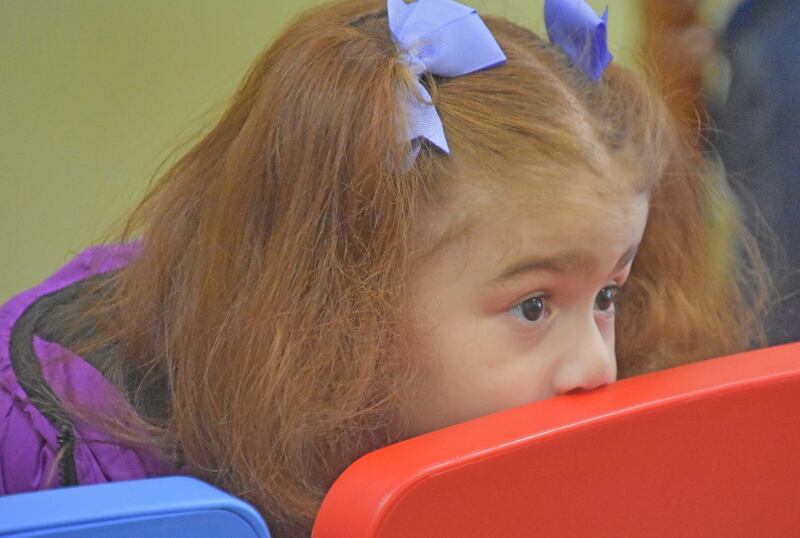 Story time will begin at 10 a.m. Friday, Jan. 11. 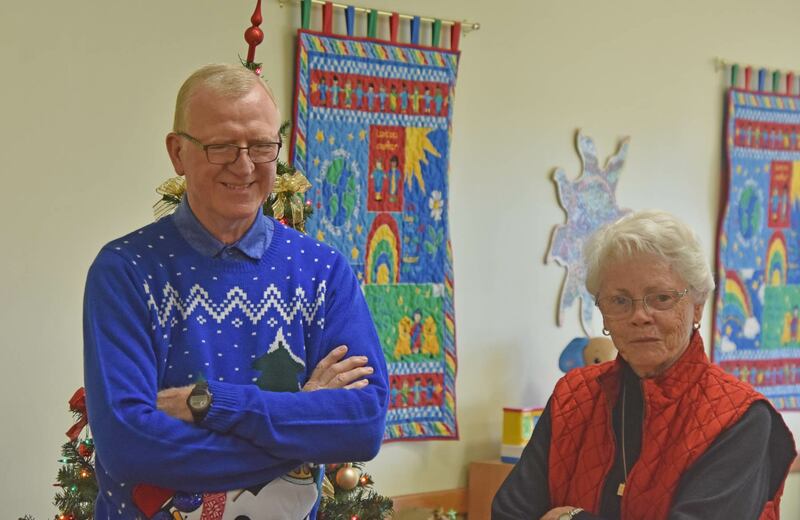 The monthly program has been a part of Neighbor to Neighbor’s regular offerings since September 2012. The next Reading with Friends events will be Feb. 8. 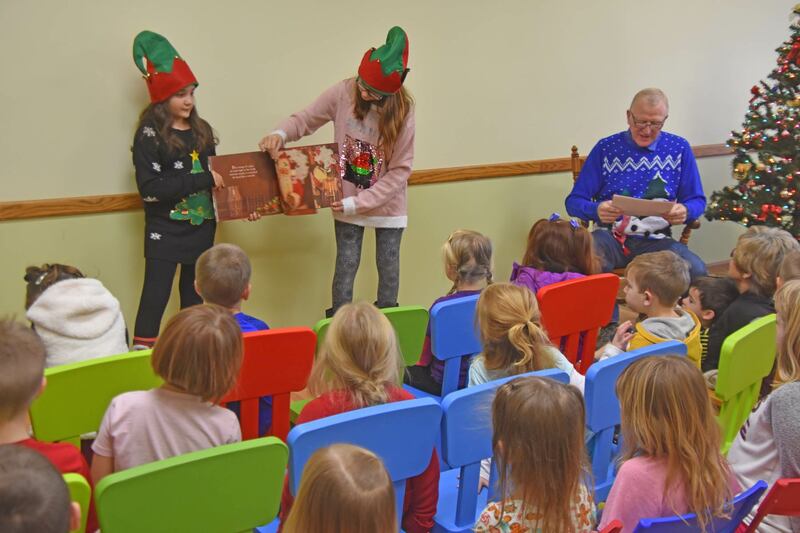 Guest reader Curtis Genereux, and his three helpful elves, entertained a full house of kids at Neighbor to Neighbor’s Reading with Friends on Friday, Dec. 14. 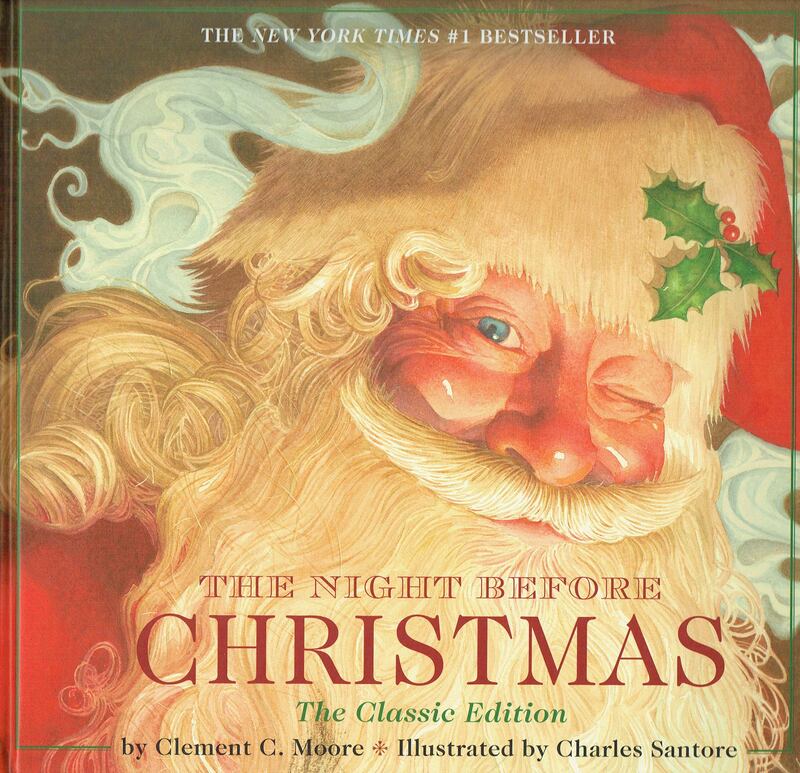 This month’s book was “The Night Before Christmas,” by Clement C. Moore. 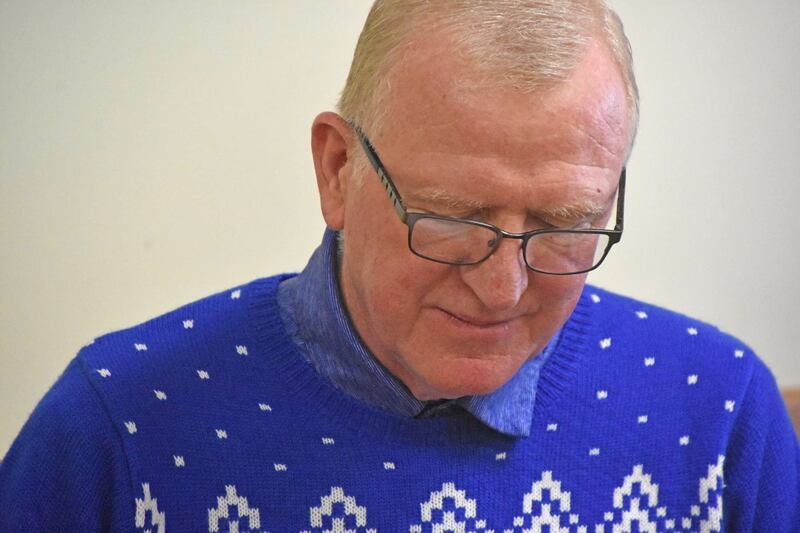 His elves — grandchildren Matthew, Priscilla and Lucina Eubanks — provided visual and sound effects for Genereux’s reading. Their creative collaboration brought lots of laughs and applause from the kids and parents. 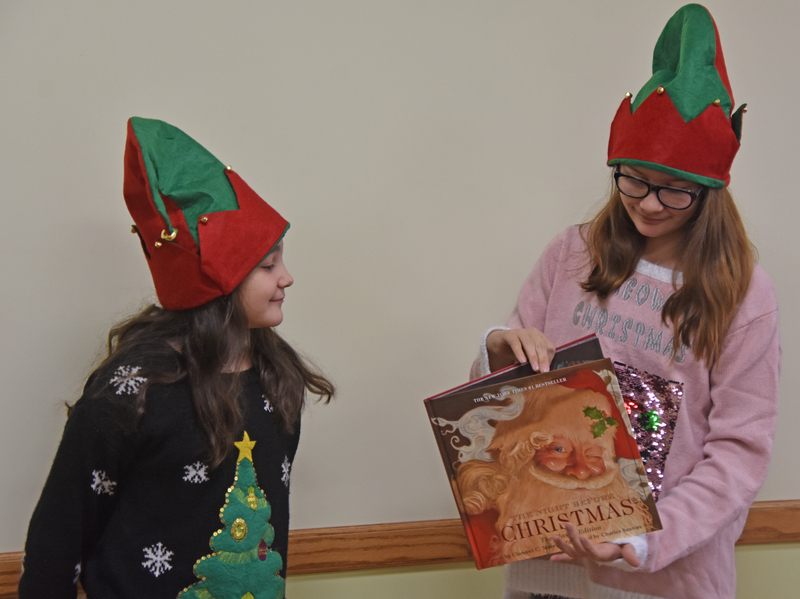 Since it was first published anonymously in 1823, “The Night Before Christmas” has enchanted children with the story of St. Nicholas climbing down the chimney and filling all the stockings before springing back to his sleigh. 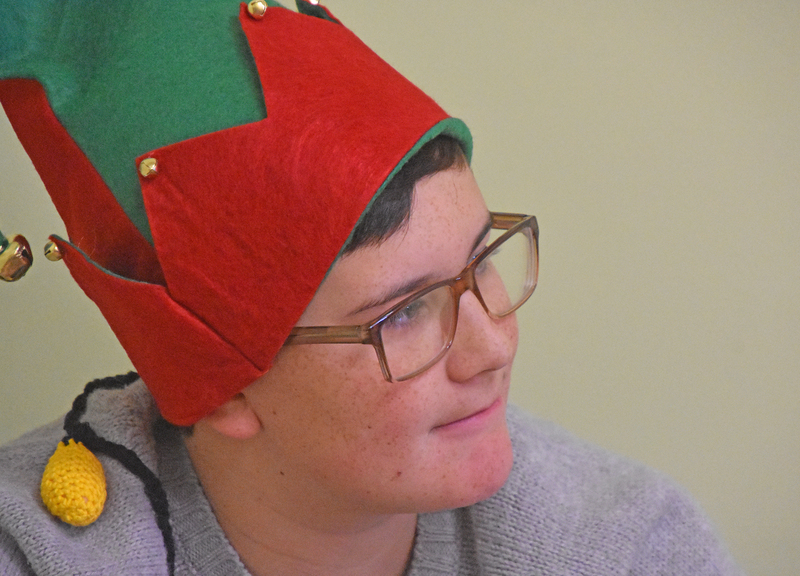 Matthew, using aids such as a slide whistle and other mysterious items, brought the story to life down to the clatter of reindeer hooves on the roof. The Reading with Friends story times for children 3 to 5 years old are on the second Fridays of the month and all begin at 10 a.m. at Neighbor to Neighbor, 103 E. Sixth St. Each session includes playtime and a snack for the children, plus each child will receive a free copy of that day’s book to take home. 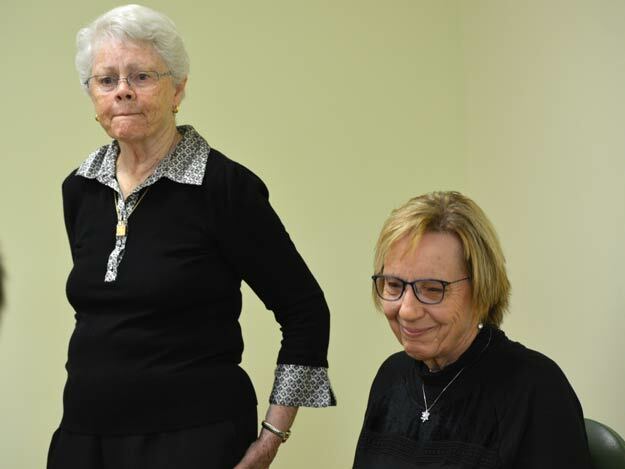 The monthly program has been a part of Neighbor to Neighbor’s regular offerings since September 2012. The next Reading with Friends events will be Jan. 11. Neigh bor to Neighbor has a very special book planned for this month’s Reading with Friends — “The Night Before Christmas,” by Clement C. Moore. Since it was first published anonymously in 1823, “The Night Before Christmas” has enchanted children with the story of St. Nicholas climbing down the chimney and filling all the stockings before springing back to his sleigh. Many families read the poem every year, and this is an edition to treasure. The cherished verse is faithfully reproduced and accompanied by illustrator Charles Santore’s lavish illustrations. Reading this most-loved poem is a classic family tradition and adds a magical component to every child’s Christmas! The book will be read by special guest Curtis Genereux. 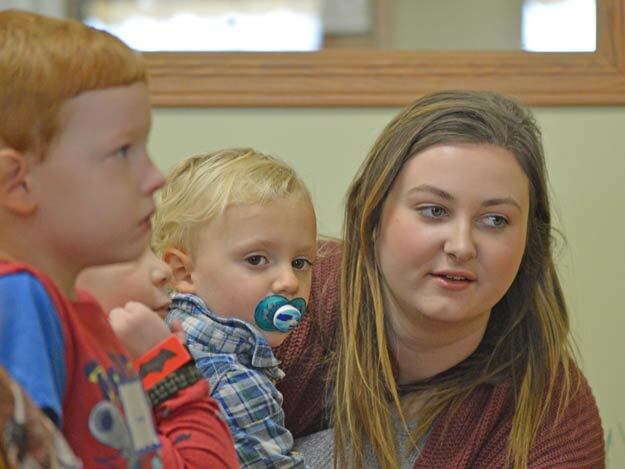 Story time will begin at 10 a.m. Friday, Dec. 14. 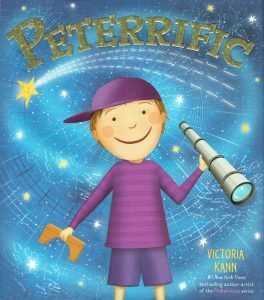 Then you might identify with the story of “Peterrific!” by Victoria Kann, this month’s featured book at Reading with Friends at Neighbor to Neighbor. Kann is the New York Times best-selling author/artist of the “Pinkalicious” series of children’s books. 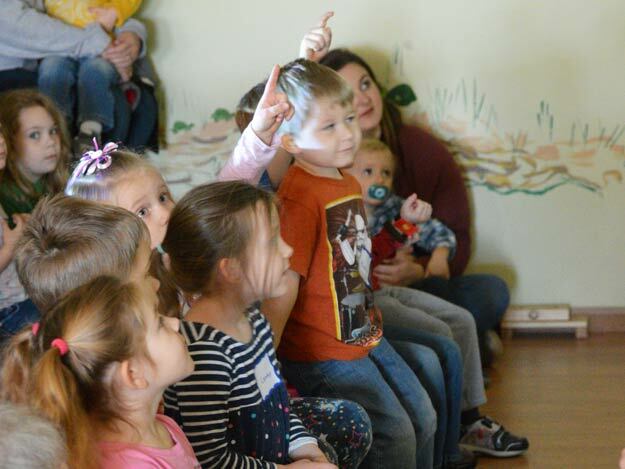 Story time will begin at 10 a.m. Friday, Oct. 12. Upcoming Reading with Friends events will be Nov. 9 and Dec. 14. Have you ever moved to a new town or started a new school and had a hard timing making new friends? 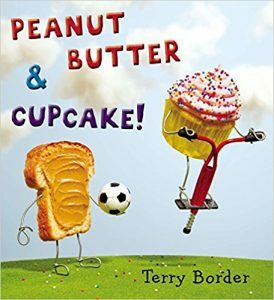 Then you might identify with the story of “Peanut Butter & Cupcake!” by Terry Border, this month’s featured book at Reading with Friends at Neighbor to Neighbor. Border, the photographer behind the “Bent Objects” project, wrote and photographed this hilarious and heartwarming story about fun, friendship and food. The bright, colorful pages will be displayed on the wall while the story is being read. 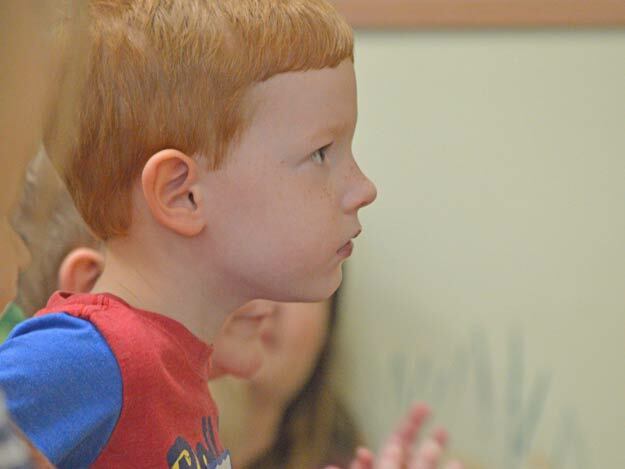 Story time will begin at 10 a.m. Friday, Sept 14. 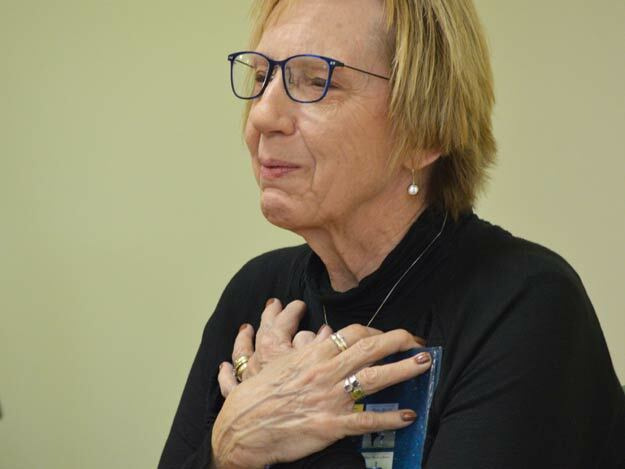 Sister Missy Ljungdahl will be the guest reader. Upcoming Reading with Friends events will be Oct. 12, Nov. 9 and Dec. 14. Ever have a terrible, horrible, no good, very bad day? Want to move to Australia? 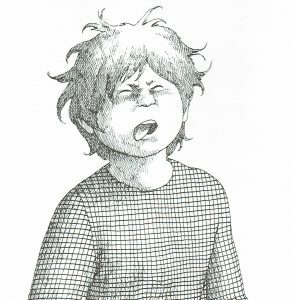 Then you can relate to Alexander in the book, “Alexander and the Terrible, Horrible, No Good, Very Bad Day.” It will be the featured story at this week’s Reading with Friends at Neighbor to Neighbor. 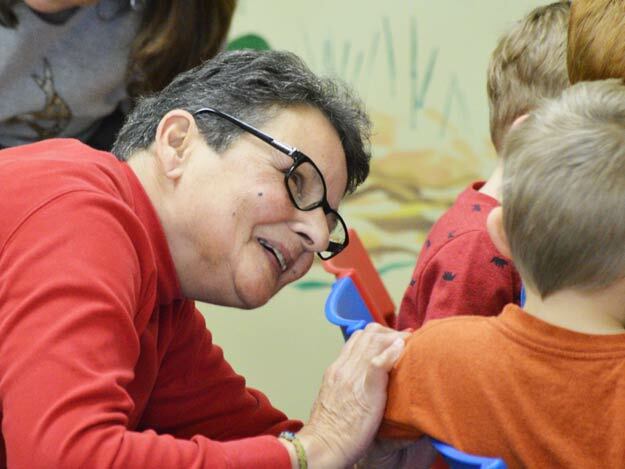 Story time will begin at 10 a.m. Friday, March 9. Angela Eck will be the guest reader.